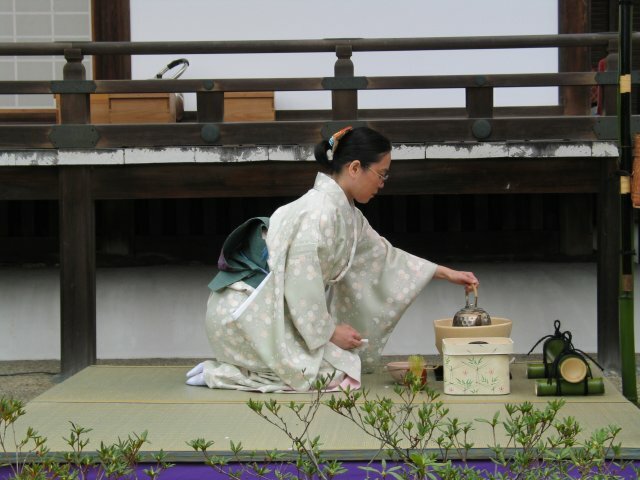 The Japanese tea ceremony, or chanoyu is more than just drinking tea. It is a spiritual experience that embodies the concepts of harmony, respect, purity, and tranquility. When the host prepares and serves matcha, (green powdered tea) for a guest, he or she pays attention to every detail including choosing the tea utensils, flowers, hanging scrolls, sweets, and occasional meal. The host’s choreographed movements of serving tea are an attempt to create the peaceful moment for the guest. Join us for a lecture and demonstration of a traditional Japanese tea ceremony, and learn what to bring and what to wear, and what to do and not do as a guest at a tea ceremony. Your host will demonstrate how to purify special utensils, present and whisk the matcha, and how to receive and drink in keeping with traditional Japanese customs. Sweet treats will accompany our tea ceremony. Please bring your own tea bowl, or any bowl with a rounded bottom.